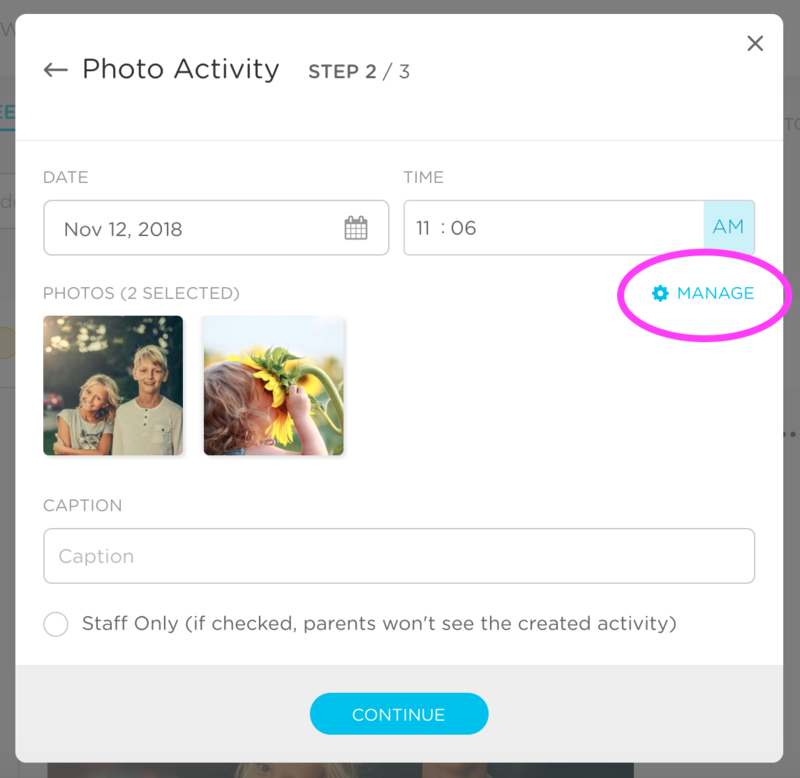 To send a photo from the website, go to the Daily Activities section and click on the "Create Activity" button in the upper right (indicated in pink below). Select "Photo" from the available options. This will take you to the activity screen. If you have photos that you would like to send from your computer, click on "Upload Photos." If you want to send photos that have been sent already or saved to the Kinderlime Cloud, choose "Select Photos." 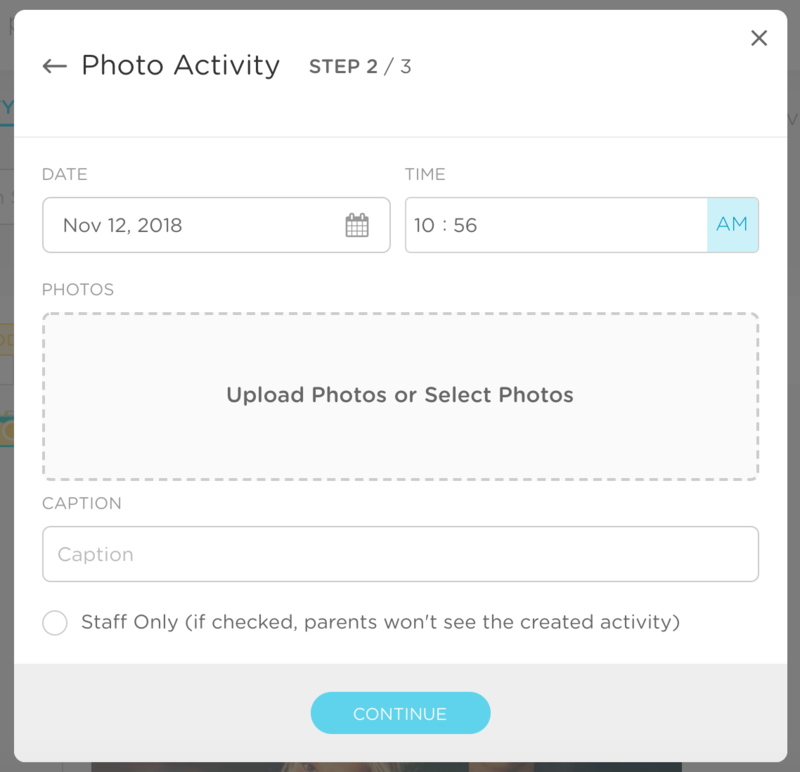 Clicking "Select Photos" will take you to a screen where you can choose between photos that have already been sent, or photos that are unsent (saved to the Kinderlime Cloud). 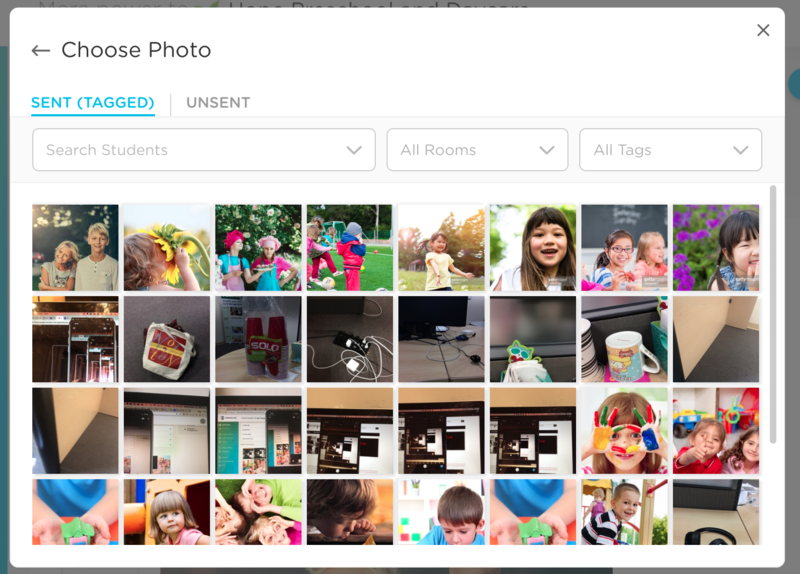 You have the option to filter sent photos by student, room, or tag. Unsent photos can only be filtered by room, since they haven't been attached to a student yet. Note: You will only be able to choose from Sent or Unsent photos. Not both at the same time. If you change your mind and decide you want to send a different photo, you can click on the Manage link (circled in pink below) to change your selections. Once you're finished, you can adjust the date or time, or add a caption. Then, click Continue and select which students you want to send the photo(s) to.